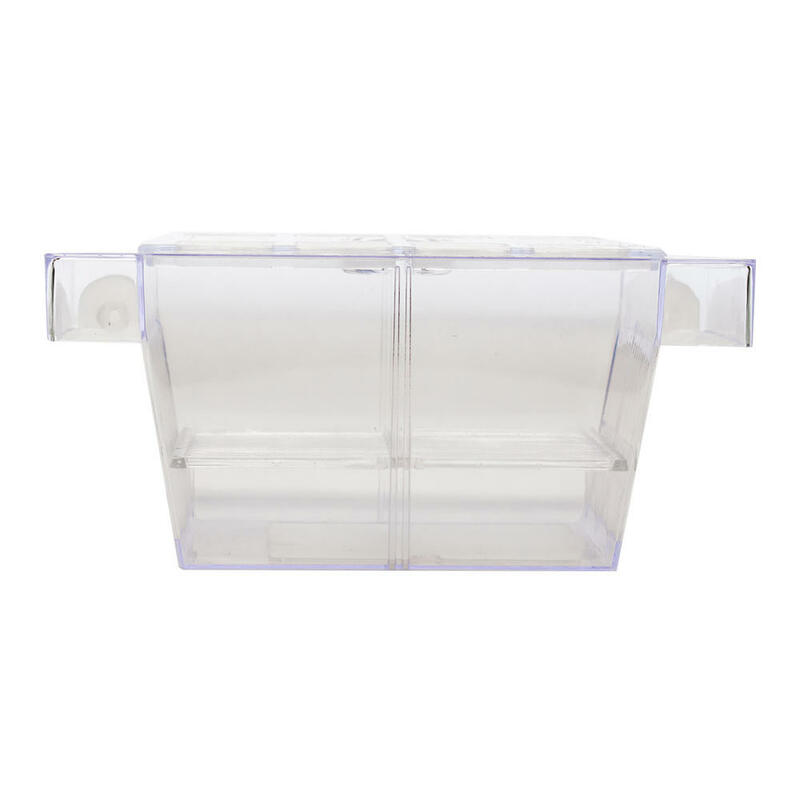 The Aquarium Fish Breeder Box is a transparent plastic box, used to separate fish in your aquarium for breeding purposes or to quarantine due to illness. 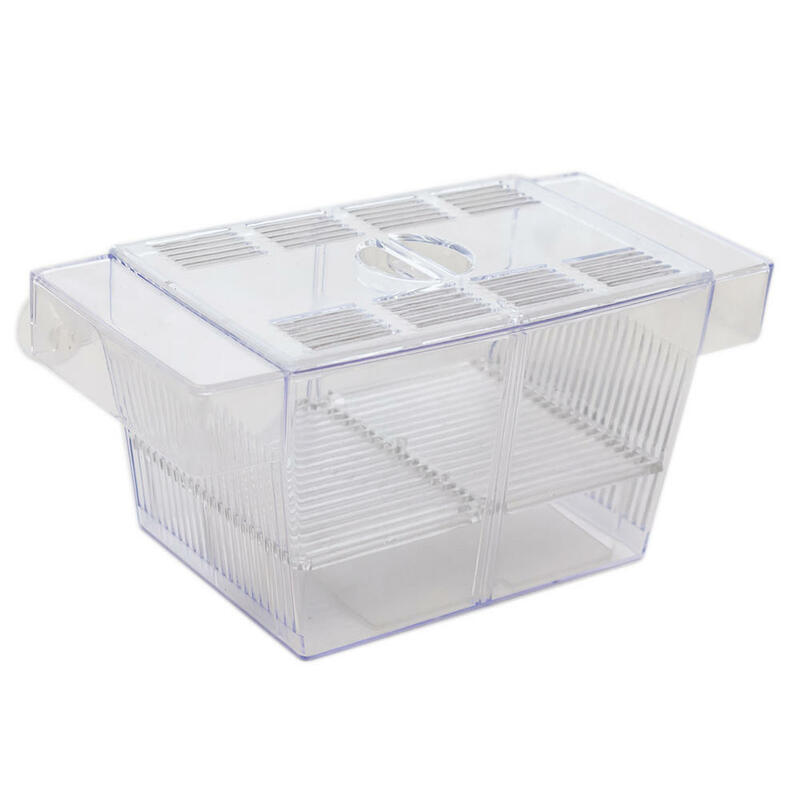 The Aquarium Fish Breeder Box uses suction cups to attach onto the inside of your aquarium where you can then place the fish inside, using the lid to keep them secure. 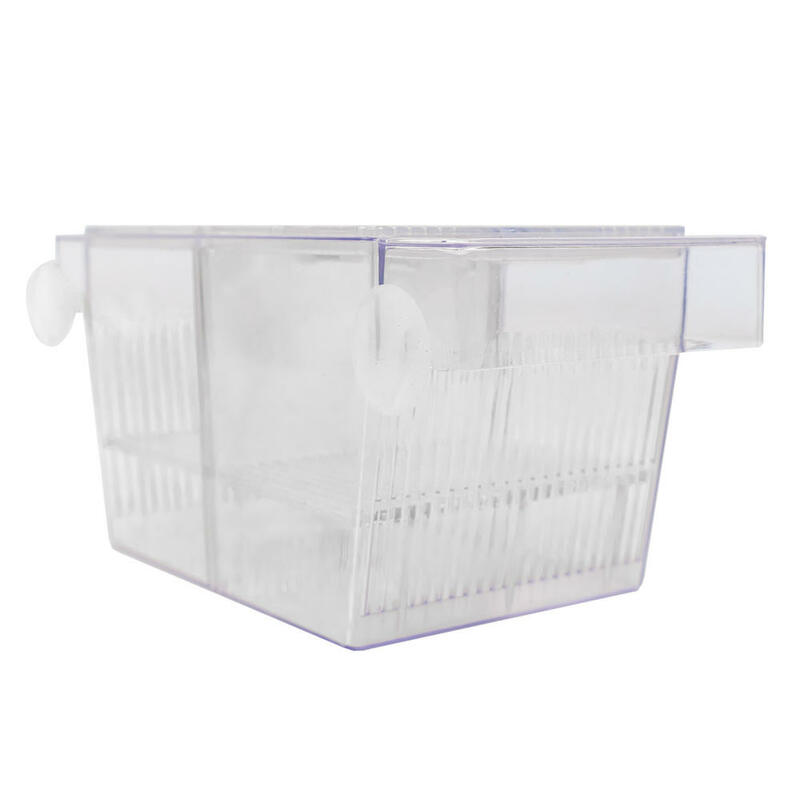 The included grate allows you to use it for either livebearers or egg-laying fish, along with a divider to allow breeding of multiple fish. 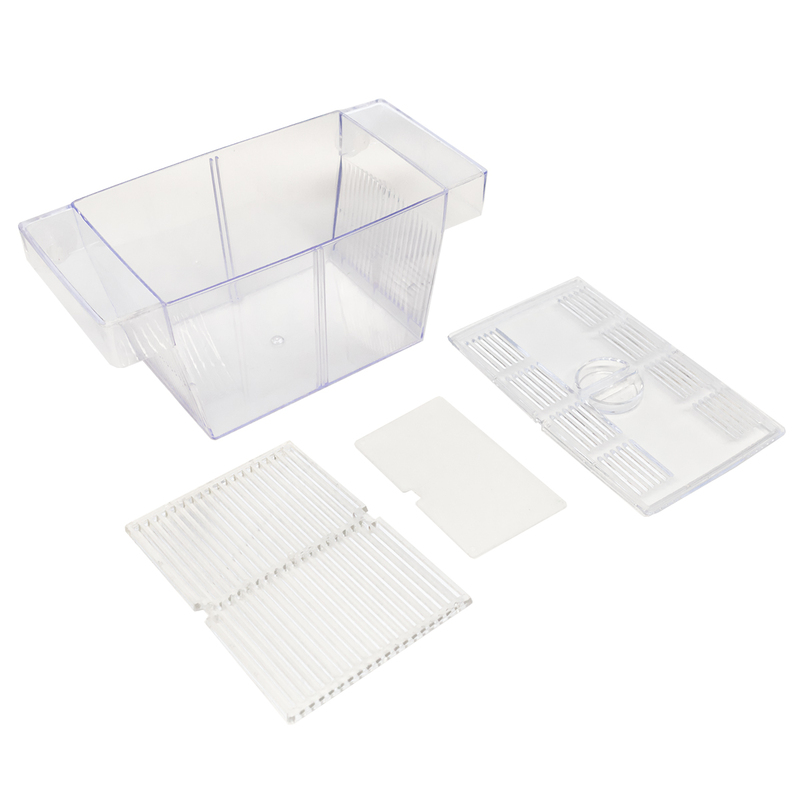 The Aquarium Breeder Box can also be used to separate aggressive or wounded fish, or to treat fish that have become ill or have a disease that requires close monitoring.